With a very favourable location for its business, on Afrikalaan in Ghent, between Dampoort and the city’s port, family firm Selecta Cars De Swaef is among the largest of its kind in the province of East Flanders. The history of the De Swaef company dates back to 1933. That is when René De Swaef, father of Lucien, Roger and Herman, moved from Erpe near Aalst to Dendermondsesteenweg in Ghent, near the Dampoort. When war broke out in 1940, René already owned six coaches and four trucks. Unfortunately, these were requisitioned immediately by the Belgian Army. However, that cloud did have a silver lining, because immediately after the war, armed with his requisition notices, he was given priority when buying the vehicles left behind in Belgium by the Americans: a bus from the city of Paris, a bus for passenger transport with a trailer from a town somewhere in Germany, and three tractors and trailers from the US Army. So almost immediately, he had a limited number of vehicles to re-start his business. An interesting detail: the tractor-trailers were built by the Veleure coachbuilding firm in Ypres. The vehicles were later used to transport workers who were helping to build the ’58 World Fair in Brussels. In the early post-war years, the business activities of the company, which had moved in the meantime to the Afrikalaan, consisted almost exclusively of passenger transport by coach, at which the De Swaef company excelled. 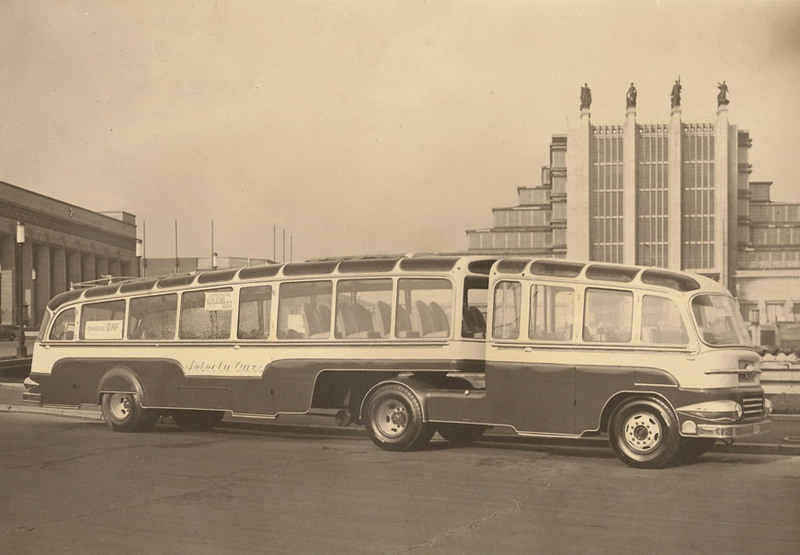 During the fifties, the company managed to position itself as a real coach company. 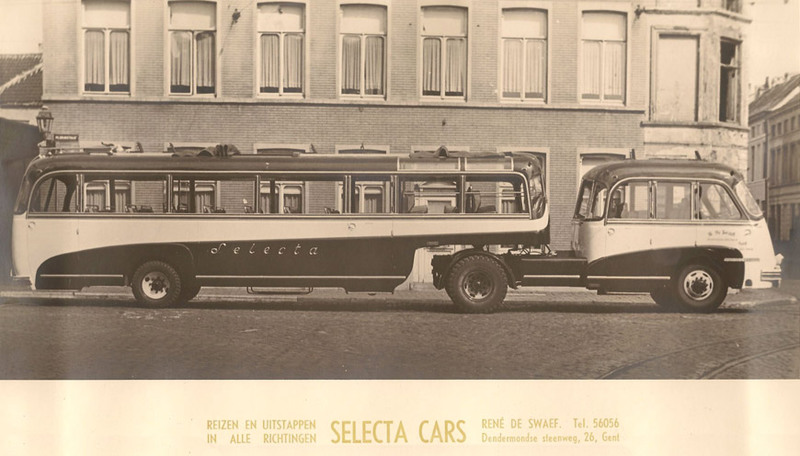 Selecta Cars, as the company was called from its foundation, ultimately remained as the only large coach company in the Ghent area. The tasks were well shared out between the three brothers and directors: Roger managed the coach division, Lucien organised the maintenance and repair department, Herman dealt with everything relating to transport. 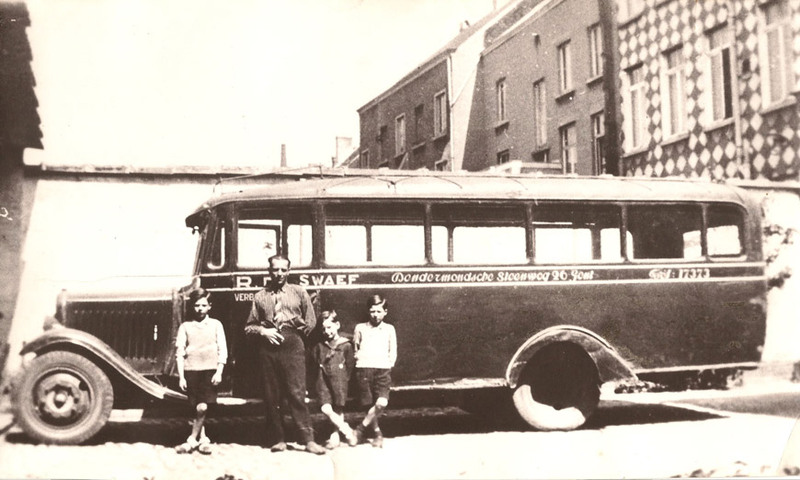 De Swaef, which was converted into a BVBA or private limited company in 1953, grew so fast in those years that it became a large group transport company that could carry 2000 passengers a day. In 1962, we were the first to bring a VIP coach onto the market, with all the bells and whistles. Nothing like it had ever been seen in Ghent. Besides the 30 coaches, including our 3 double-deckers and 2 top-deck coaches, our fleet consists of around fifty vehicles for employee and schools transport.